Opting to live off the grid was an easy decision for Leisa Knettle Mukai ’81 and her family. The only difficulty was in picking the perfect place. 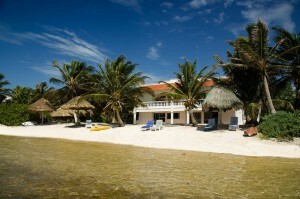 Enter the Acocote Eco Inn in Xcalak (pronounced Ishkalak), Mexico. Formerly Sandwood Villas, the beachside location has been transformed into a diver’s paradise—all with a firm commitment to protect the environment and reduce the carbon footprint of visitors. In a place where water is gold, collected rain water is used for flushing toilets, wash dishes, rinsing equipment, pouring on plants, and taking showers. In this interview with Director of Alumni Relations, Jeff Pilgrim, Ms. Mukai talks about how she went from riding through the New England countryside on her bike to catering to water enthusiasts of all stripes at Acocote. What is your favorite memory from Williston? Fall of my junior year, I bought a bike and rode around the country side. I loved the New England colors. Hitchhiking to Northampton and catching the Five College bus was really exciting for a kid from small town in eastern Washington State. And dressing up as the Tin Man—a costume Mr. Dunnington made for me at Halloween. How did you come to own an Eco Inn? How did you settle on this location? The first thing I did after college was get a teaching job in Tokyo, Japan. The second thing I did was get an Open Water Dive certification. For the intervening 30 years, my husband Rob and I have been diving and snorkeling around the world every chance we got. The conversation about running a beach property began on Koh Pi Pi in 1986. It was a very different place before the hotels went in. It was beautiful snorkeling and diving, but it was clear the water was not being protected. The other really, really important piece was we hadn’t made much money yet. So every trip we made we studied real estate and the water. It was my husband, an inveterate fly fisherman, that found Xcalak. (pronounced Ishkalak). He was wandering about the inter-webs looking for saltwater flats fly fishing and he saw a reference to this village. So, he came down with a couple of buddies. (I couldn’t get away at the time.) Over the next eight years, we made a number of trips to Xcalak—both separately and together. In fact, we got our kids open water certified at XTC Dive Center, the premier instructor training center in the world. We shopped property around the Yucatan and Belize. Only Xcalak had taken steps to protect the reef. In November 2000, the Parque Nacional Arrecifes de Xcalak was decreed by the Mexican government. This park is part of the Mesoamerican Reef System, the second-largest reef system in the world. Then, in December of 2014, Andy Sanders died and his property Sandwood Villas came on the market. The timing was right, both kids out of the house, and the price was right. The reason we sought an Eco Inn is we are committed to protecting the natural environment and reducing ours and our guests’ carbon footprint. We have seen what well-meaning tourists and businesses that cater to them can do to a fragile water environment. Ko Phi Phi in Thailand, once pristine and tremendous biodiversity, now a fairly barren reef. really drove that home for us. Our water is collected from rain into concrete cisterns which is then pumped to our roof storage system of tanakos. This water is used to shower, flush toilets, wash dishes, etc. Used water is then directed into a septic system, where raw sewage goes into the bio reactor, and in there bacteria attacks the solids and the solids settle to the bottom, and then the water goes into a second tank and does the process all over again and then it goes out into a leach field. We don’t have laundry on the premises at this time because we haven’t had a large enough water collection system to support it. We just built a 30,000-liter cistern and we are considering doing some limited laundry. When we do make that move, we will use natural detergents phosphate-free and use the gray water to clean windows, floors, and our car. We buy our drinking water from a local water purification company, Xcalak Water, which delivers to homes and business up and down the beach road. So, even our drinking water has a low-carbon footprint. Water is gold here on the coast. There are two rainy seasons: June and November. We can go five months without any rain. So, we take military showers: get wet, turn off the water, suds ups and rinse. We save the water we use to rinse our snorkel equipment and pour it on plants. Most of the energy used at Acocote comes from our 12,250 watt solar panels, which provides 3000 watts. This is just enough energy for the needs of the inn—although we sometimes have to supplement with our backup generator if there has been cloud cover or a night when there has been no breeze and the fans are on. We don’t have many appliances. The biggest indulgence we have is our latte machine. When guests aren’t here, we unplug the refrigerators in the rooms. If we need to use power tools for property maintenance, we turn on the generator. We haven’t turned on our generator in a week. Sometimes during peak season we turn it on at night for a couple of hours because guests need the fans and all the refrigerators are on. Otherwise, we use little fossil fuel. If there was a hybrid vehicle sturdy enough to handle our beach road, we would go that route as well, but until then, we have a Subaru to get around and that functions like a truck. Our cooking is done with propane. What we don’t do—which is crazy—is recycle. The nearest recycling center is 2.5 hours away and it is for industrial waste. Bags and bags of plastic come in on the tides. As for us, we reduce and reuse as much as possible. What skills learned at Williston helped with this endeavor? First, Spanish with Cathleen Robinson. I was not a great student, and I am not fluent now, but I learned the basics of Spanish verbs which has really helped me in my language learning process. Then, Latin with Mrs. Teller. Spanish has so much Latin influence, it makes reading in Spanish a lot easier. I can make good educated guesses on what I read, although I have had only Rosetta Stone to teach me Spanish since high school. I do plan to do a Spanish immersion program in the next few months, but we have been in construction processes that require me to be on site. Williston was my first experience of culture shock. I am originally from Eastern Washington, from the small and smaller towns of Walla Walla and Pomeroy. For my first 10 years, I lived 30 miles from a stretch of paved road and 5 miles more to town. We were farmers in a farming community. The first time I heard an accent was a taxi in New York, I asked my brother if the driver was an actor because I had only encountered accents on television. What I really got out of my Williston experience was an exposure to a diversity of people and thinking and an expansion of the possibilities in life. First we had to set up a corporation in Mexico and find an accountant who spoke some English. Then, during due diligence, we had to study up on the systems that an off-the-grid structure depends on: water reclamation, tanakos, cisterns, solar panels, solar batteries, generators, water heaters, propane tanks, and septic systems and maintenance. Acocote—formerly Sandwood Villas—was built 22 years ago, so there was updating to do as well. Why stay at an Eco Inn? You can have a direct experience of the water without a lot of commercialism, thousands of other tourists, and it’s a responsible approach to travel. We cater to water enthusiasts of all stripes, but fly fishermen will especially appreciate my husband’s expertise. Rob has a great working relationship with the independent guides here in Xcalak. 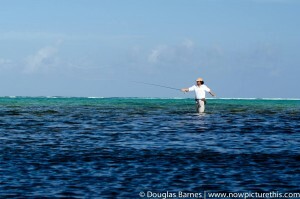 He goes out every opportunity and DIY fishes as well as with the local guides. He can assist in booking guides, as well as give you inside information on DIY fly fishing in the area. He also has the only fly shop in the Coats Maya, Fxalak where fishermen can get everything needed for fly fishing these waters. There are two great dive shops here, XTC and Coats de Coco’s, (which also has craft beer and whiskey in their restaurant and believe it or not delivery pizza—gotta try the lobster mango pie). We also have stand up paddle boards and kayaks. A week could be spent just exploring the coral heads out front. Our tag line, “unplug, recharge,” is an acknowledgment of our constant need to be engaged with our electronic devices and releasing all of those responsibilities that come with being “plugged in” and engaging with nature, a rejuvenating, “recharging” experience. Unplugging is a choice, not a necessity, here at Acocote. We do have internet connectivity, it just happens to be “unplugged”. Our internet is beamed via microwave relays 40 miles north before it gets to a fiber line. So we do have internet connectivity, but it is bandwidth limited by the microwave technology. Email and web browsing are not a problem. Streaming video and audio, can become bandwidth constrained when we have a full house. We don’t have cell phone service, regular phone service or regular mail delivery either. With WiFi calling, texts, Skype, and Google voice mail, however, we can stay connected. So if your device is buffering you can always watch the waves crashing on the reef. 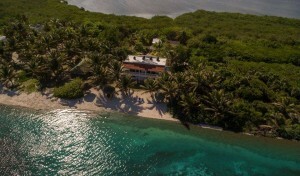 What makes Acocote Eco Inn unique? I just took a break, put my sunglasses on and walked along the beach. I can see probably see eight miles of shoreline. There was one other person out. This is the shoulder to busy season, so it is quieter now. But it reasonable to expect never more than 20 people at a time on this eight-mile stretch of beach. Plus, Acocote is an intimate business. 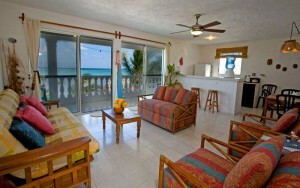 Our inn has four suites, each suite has two bedrooms, two bathrooms, a living/dining area and a fully appointed kitchen. Two suites are on the second floor, two suites on the first floor. We live in one of the suites. This means we are available 24/7 to enrich our guests’ experience. 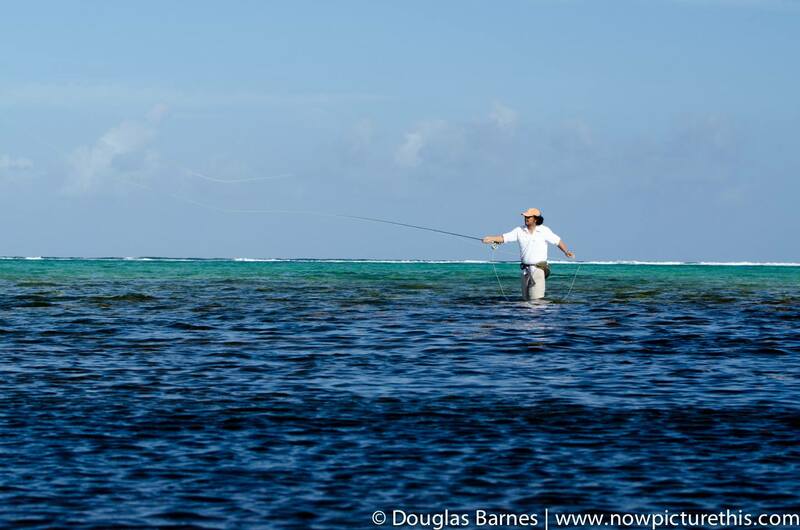 We facilitate a myriad of activities, from night sky viewing, to snorkeling, to fly fishing. In December, we scheduled a traditional Mayan band to play in our palapa, a building made from sticks and grass thatching. 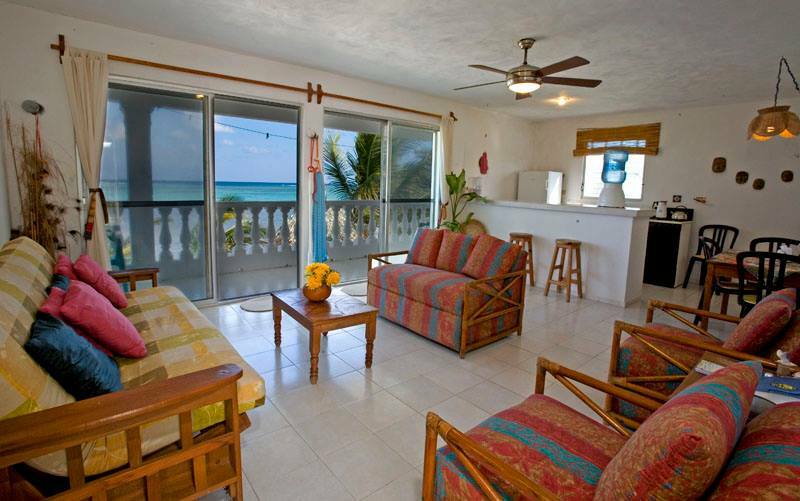 At 5:15 p.m. every night we invite our guests to the palapa for snacks and drinks. Guests can get fishing advice, snorkeling tip, share adventures, pet our dogs, get book recommendations (we have a big library), or arrange for bodywork. I offer in-house massage and another therapist comes out to the inn as well. We facilitate more than the creature comforts; we facilitate the adventure as well. I really liked your artlice! I am a full on angler so this posts are really interesting to me and my friends. Thanks.